Shire Handy Tall Garden Store: The Shire Garden Store a simple yet spacious building with a footprint of over 3ft x 2ft. 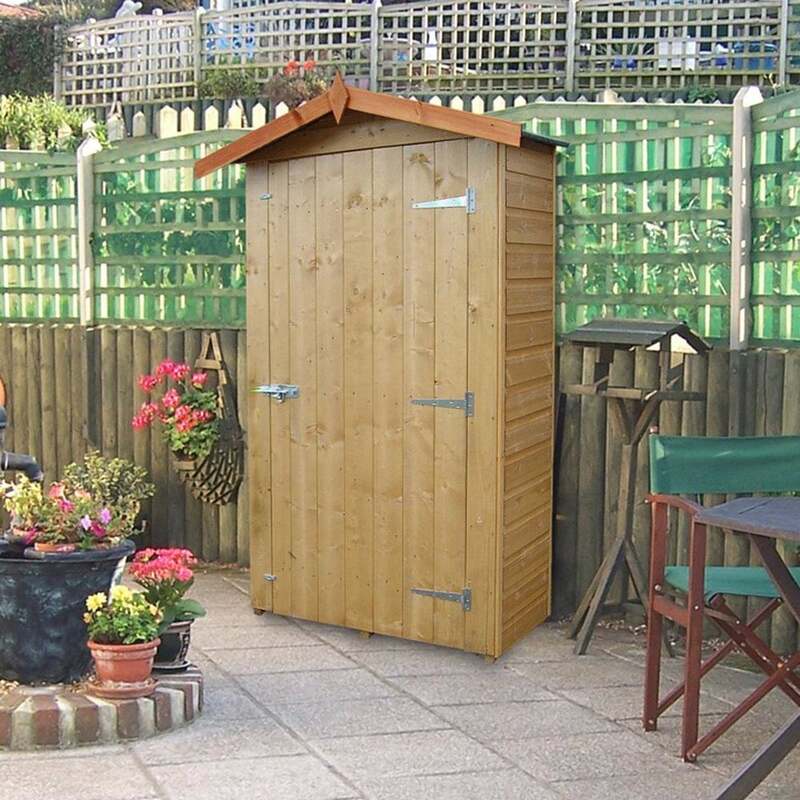 ideal Garden Storage for Gardening tools, Ladders, Children's Toys, Garden Furniture cushions etc. Also really useful for those items that you wouldn't really want in the home ie Cleaning Chemicals, Garden fertilisers etc. Superb Value Garden Storage from Garden Chic.